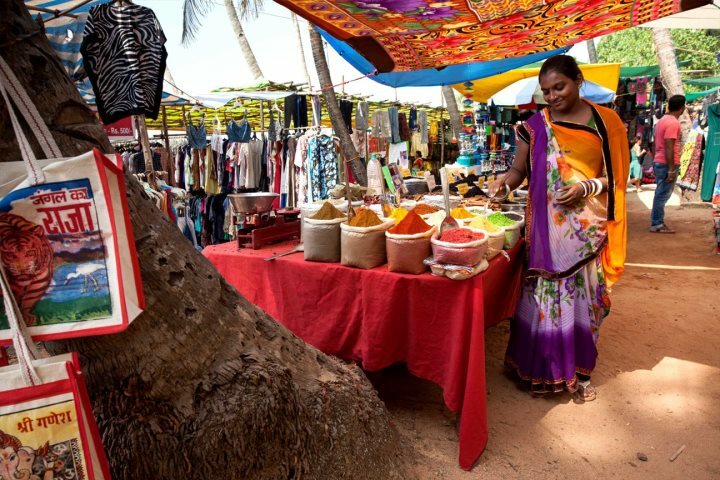 Bring a piece of India's sunshine state back home with you from your Goa holiday - you'll find plenty of fantastic shops and markets to allow you to embark on some souvenir shopping in Goa. Whether you're the type whose shelves are adorned with holiday and travel memories or not, the colours and crafts encountered throughout Goa's shops and markets will undoubtedly see you drawn to the prospect of purchasing a souvenir or two during your holiday. A Goa holiday will always be a special experience, from the fantastic accommodation offered within our collection and the glorious ranges of beaches, to the mouthwatering, aromatic food and the fascinating history and heritage. Bringing back a memory or two is always worthwhile, and you'll find that's it's simple in Goa, given the great range of markets, shops and emporiums. 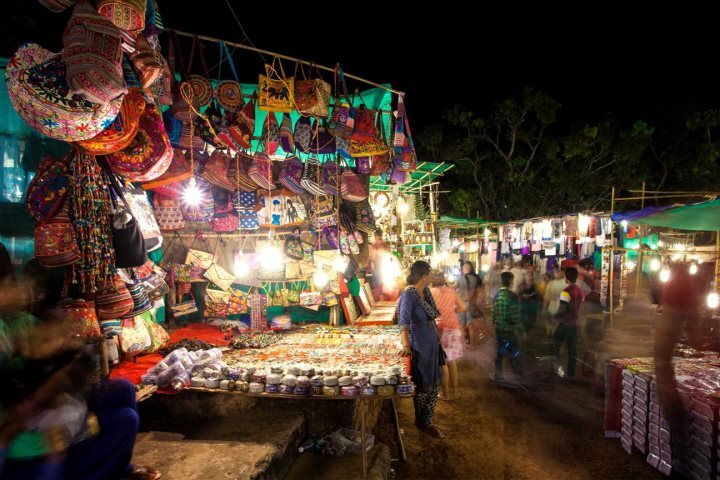 Held each Wednesday in Anjuna, a charming village located in North Goa, this colourful tourist bazaar was originally born out of the hippy influx in Goa in the 1960s, and today is a thriving setting in which to rub shoulders with locals and fellow holidaymakers. The market is set in a coconut plantation, consisting of countless stalls which sell an abundance of handicrafts and other souvenirs. Home to Goa's largest and most vibrant market, Mapusa is the place to go for holidaymakers hoping to grab a flavour of fresh and authentic Goan specialities. From cashew feni​ and spicy chorizo sausage, the best day to pick up bits like this is on a Friday when the market is at its most captivating. Boasting everything from live music and tasty street food, to colourful stalls and a vibrant atmosphere, Arpora's Saturday Night Market is an experience not to be missed. 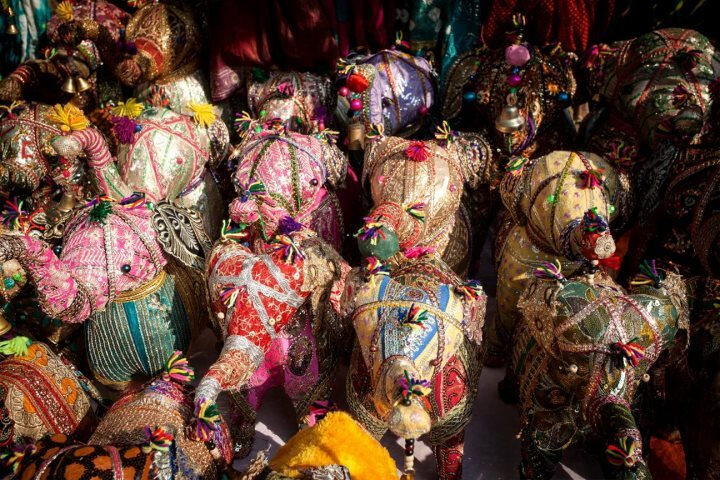 The hustle and bustle of the market feels distinctively Indian, as locals and tourists jostle to track down the very best souvenirs on offer. 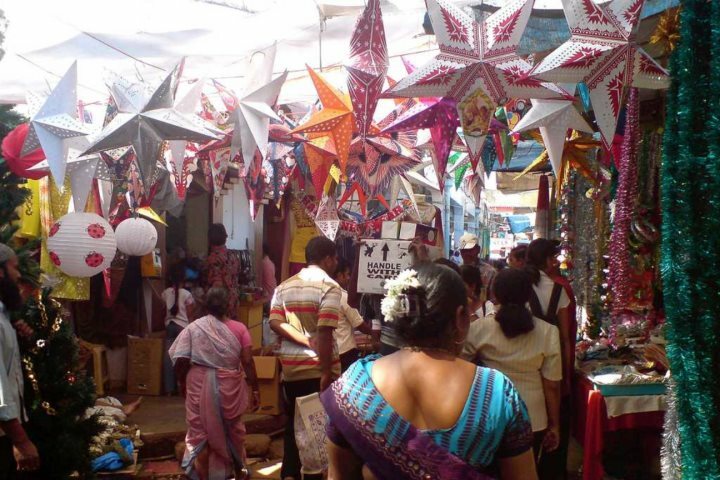 It's not just within the markets that you'll be able to delve into the very best of Goa's shopping scene. Throughout the majority of the main beach resorts, tourists will find a throng of shopping activity, from stores and shops to colourful stalls dotted along the side of the main street or by the beach. Candolim and Calangute enjoy some great shopping opportunities along their high streets, with a real diverse range of shops to consider. For some typical Goan ingredients and cuisine, head to Delfino's or Newton's, Goa's most famous supermarkets and found in Candolim and Calangute. Fabindia​ is the place to head for fabrics, homeware and clothing, and is found in Candolim, while those after some local cashews, head to Zantye's in Panjim for your fill. There are countless flavours and aromas that are typically Goan, and there's also plenty of opportunity to bring some of these home with you as a souvenir. 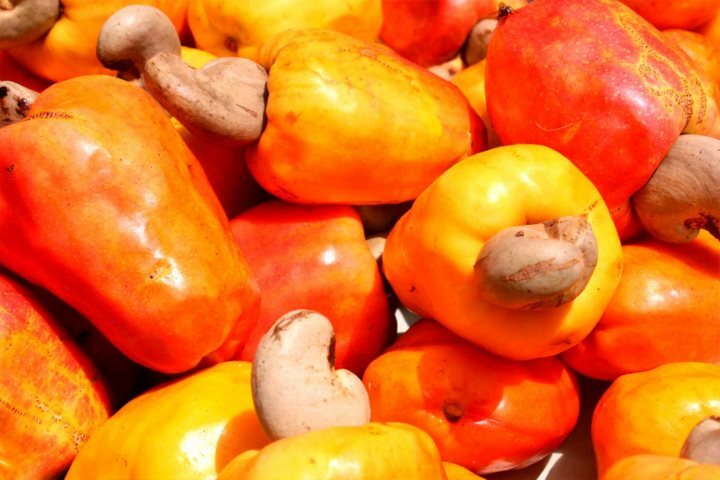 From cashew feni and cashew nuts, to tasty bebinca cake and Indian spices, you can fill your suitcase and kitchen with plenty of Goan specialities. 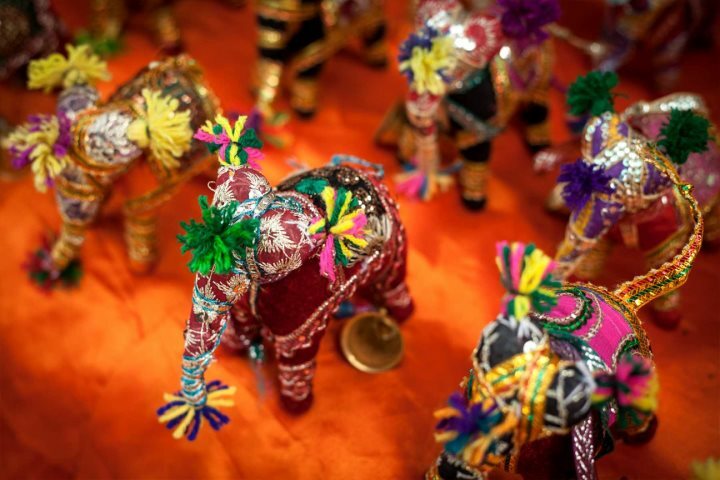 Throughout Goa's markets and many of its shops and stores, you'll find plenty of eye-catching arts and crafts to bring home with you. From brasswork to pottery and lots of jewellery, there are some beautiful works to be discovered across the colourful stalls and inviting shops. 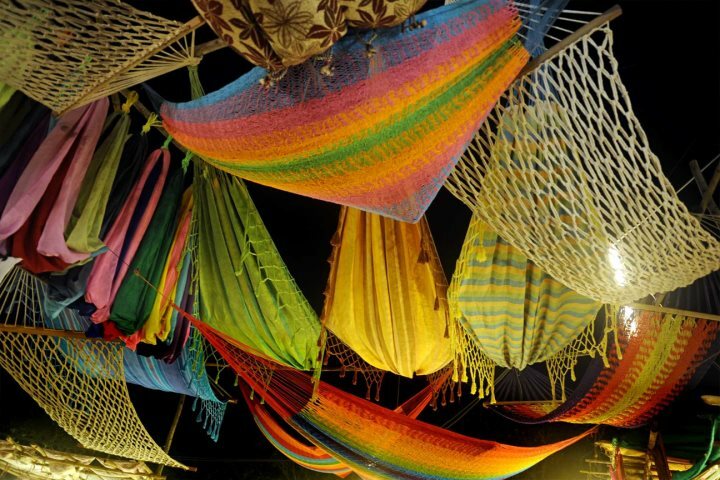 You'll notice the colourful clothing worn by the locals each day of your Goa holiday, and you'll find a lot of opportunities to purchase a piece or two to brighten up your home or wardrobe. 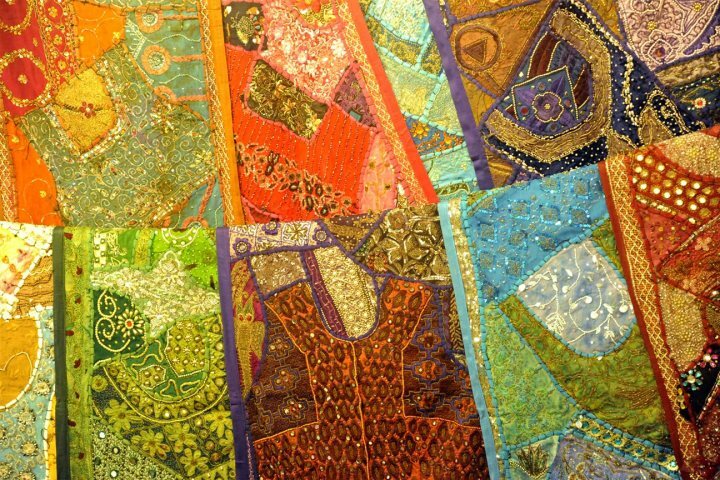 From silk scarves to flowing dresses, there is a lot of quality to be found throughout Goa's shops and markets. 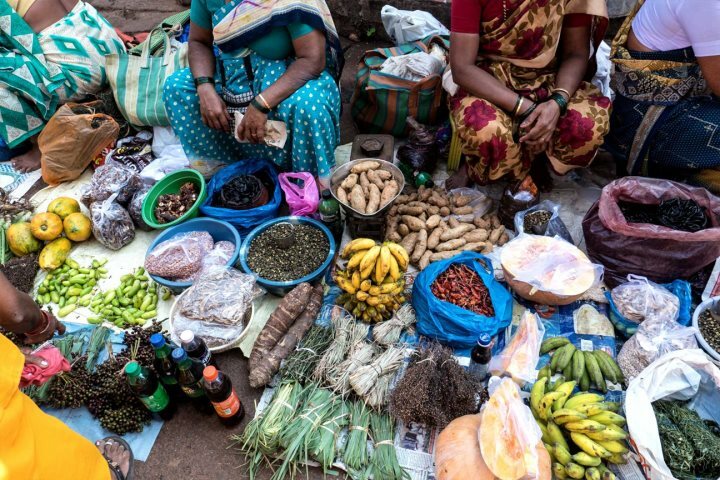 Find out more about shopping and exploring the markets of Goa by visiting our dedicated guide page now.